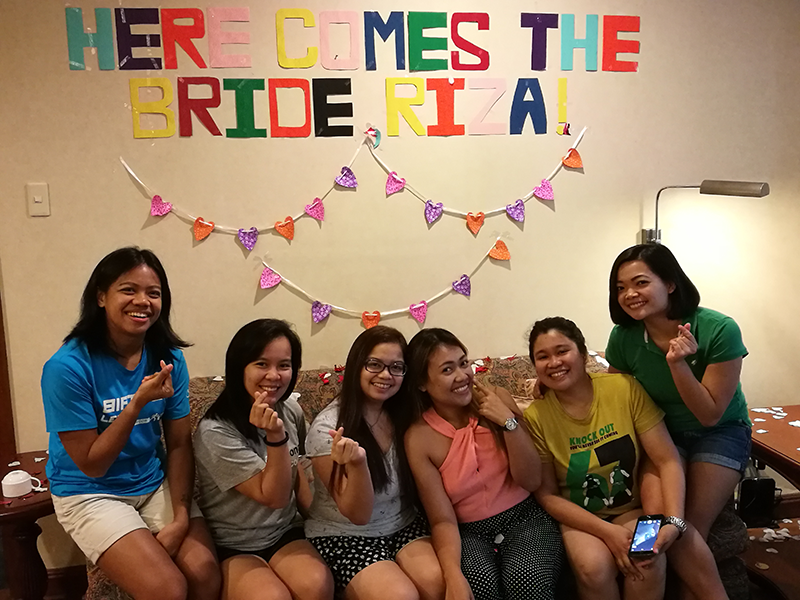 Last June 24, my girl friends and I (a.k.a DRIMLAB - which stands for Deng, Riza, Iska, Marnelle, Lilet, Angel and Babes) organized a simple bridal shower for our friend, Riza at Discovery Suites Manila. 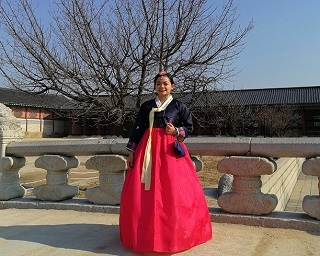 I was so excited to help out with the preparations since it was also my first time to participate in such event. OMG friends, we are really adults now. 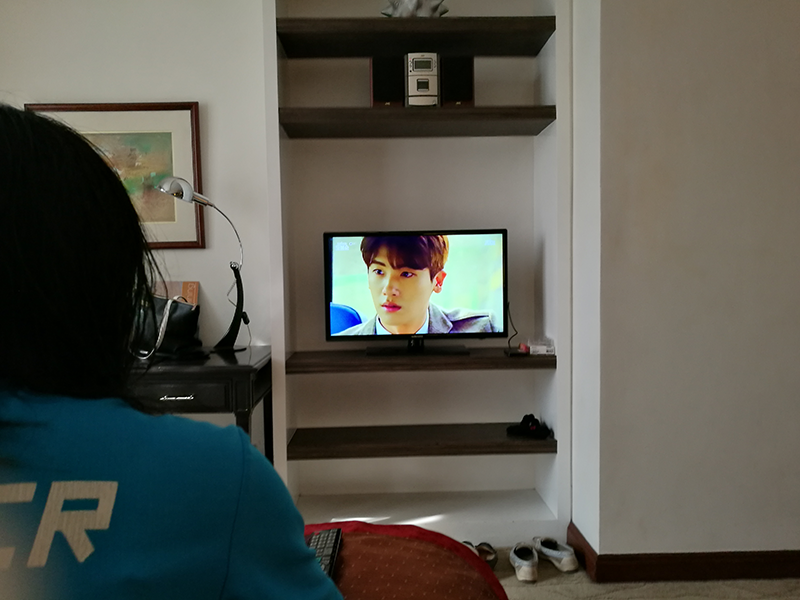 We used to attend debuts, but now we're talking about "wedding". 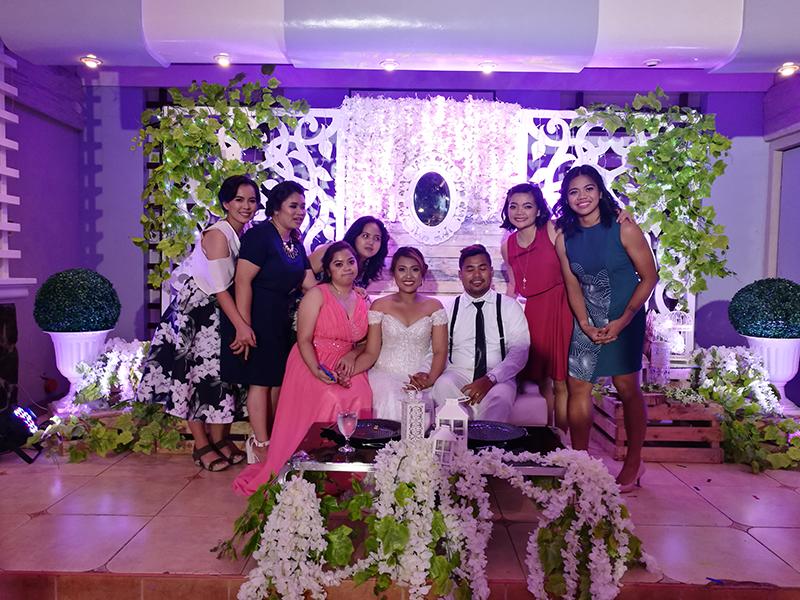 Anyway, congratulations to the newly weds, and best wishes! 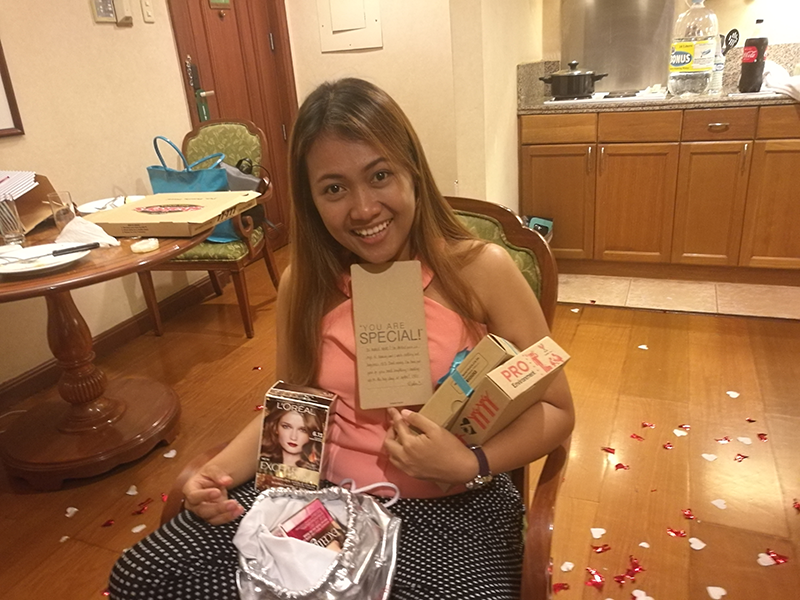 Of course, our friend Marnelle who currently resides in Cebu made it to the event. We picked her up early that morning at the airport. Had breakfast at Recovery Food, then went straight to our house to prep up. 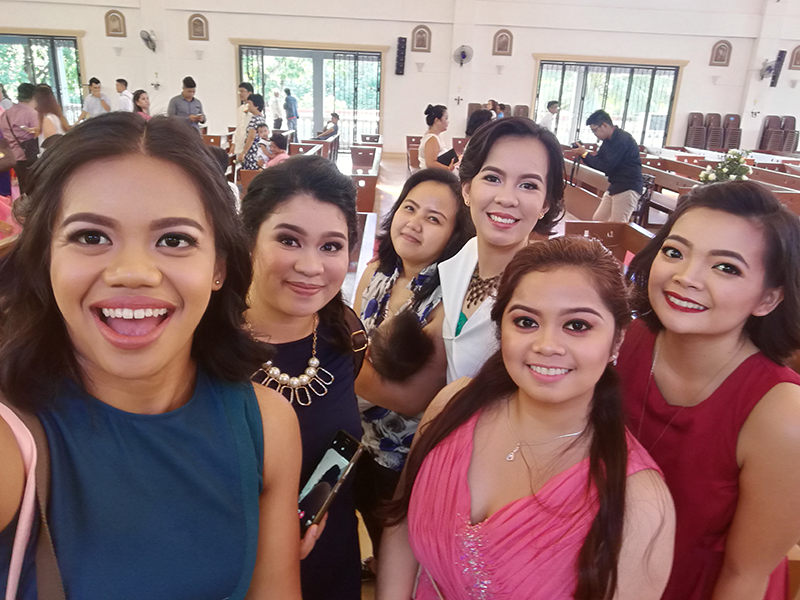 Even though we were busy preparing for the bridal shower, we did not forget to take a groupfie. Love you girls. 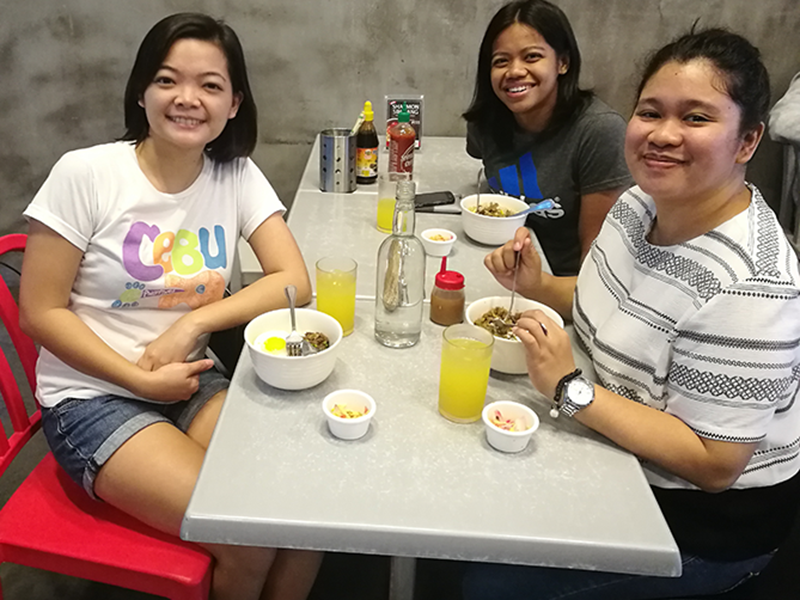 Thanks Deng for leading the way, chos! 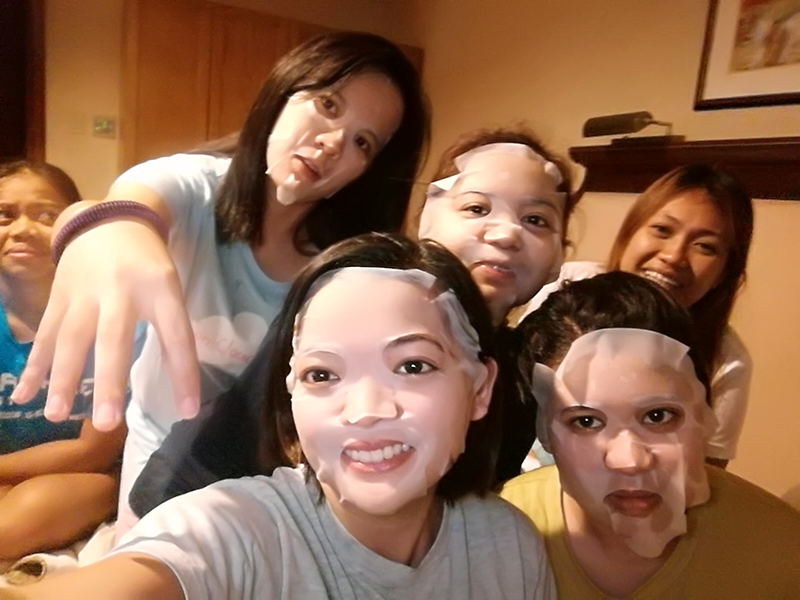 We entertained this type of distraction, even if we knew that we were already running out of time (soon-to-be-bride was already near the venue, and we were not yet done with the preparations). 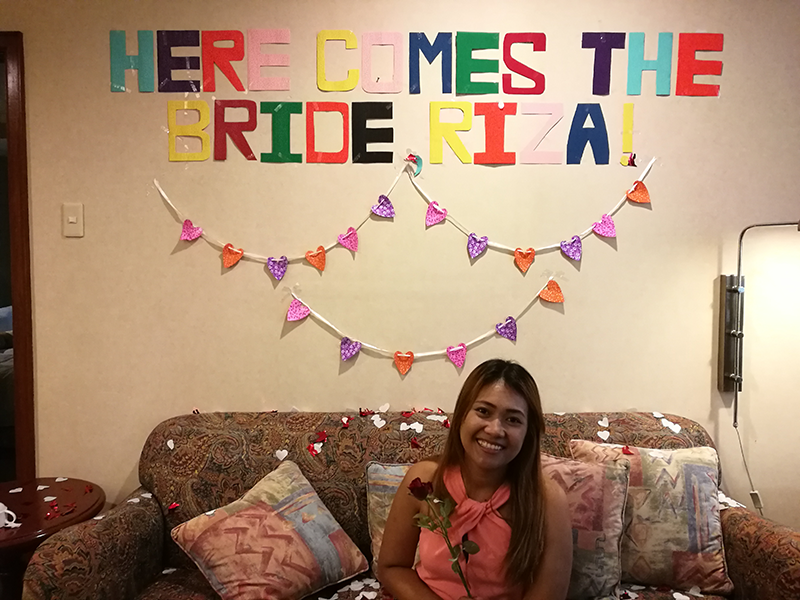 Here comes the bride, Riza. We had our own"fail" moments during the bridal shower (i.e. 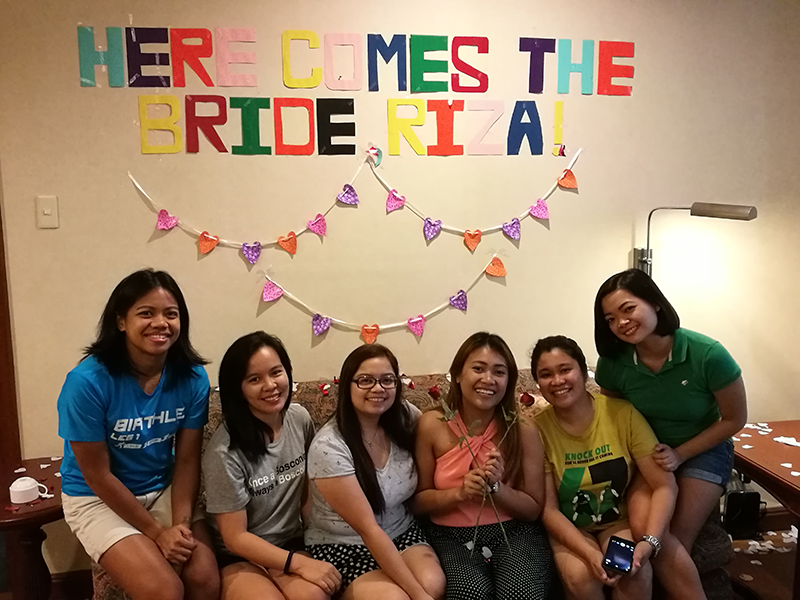 failed to pop the push-pop confetti upon welcoming the soon-to-be bride), nonetheless, it turned out really fun. Wish you were here, Lilet. Hope you like our gifts! The big day (few days after the bridal shower)... Hello Lilet & baby! 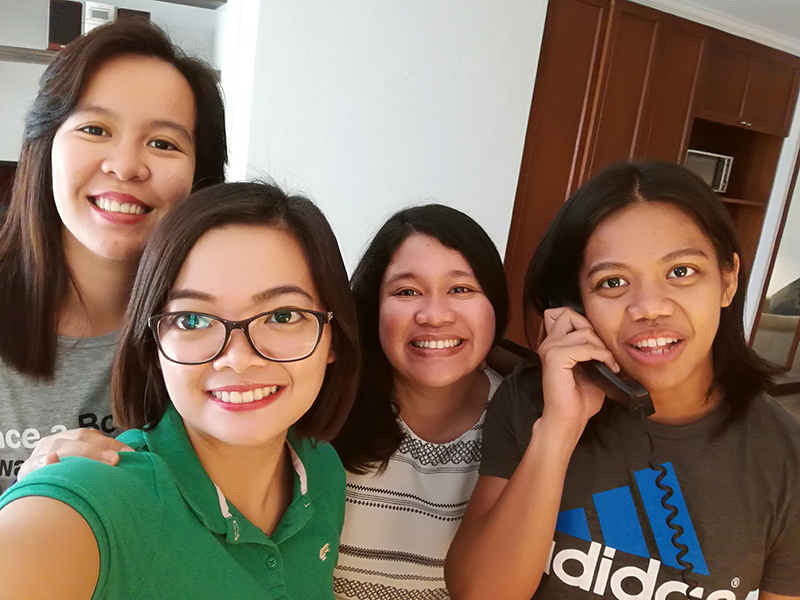 YES AFTER 9 YEARS, WE WERE FINALLY COMPLETE. Jenny Babes, Iska, you're next! !